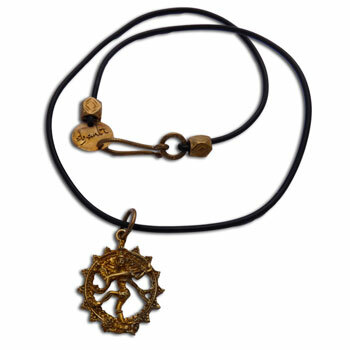 Shiva Nataraja, or dancing shiva, pendant hangs from a rubber necklace. 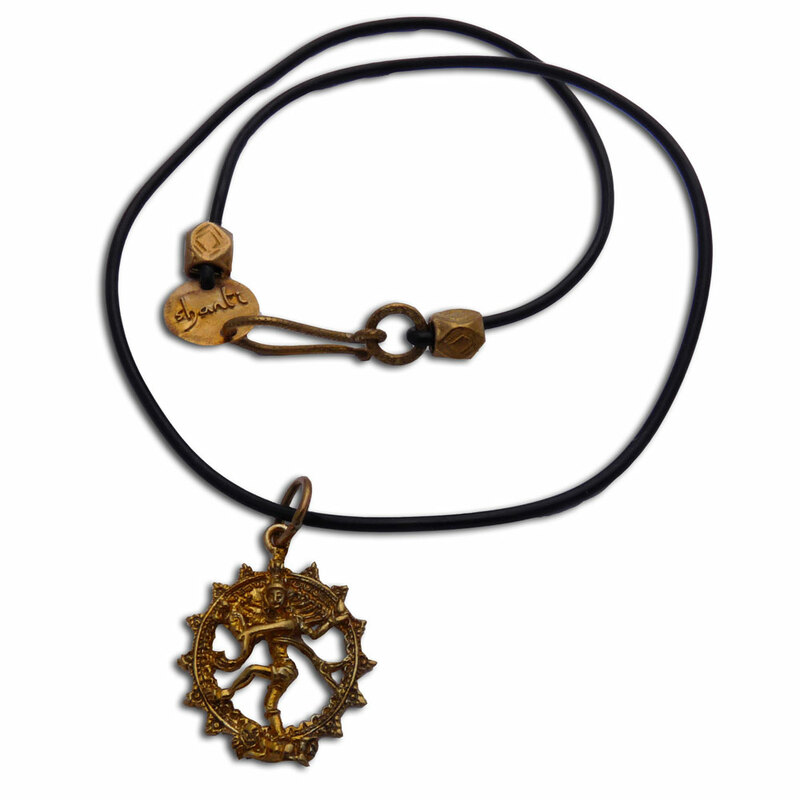 The clasp says "shanti" meaning peace . It is crafted out of recycled brass. 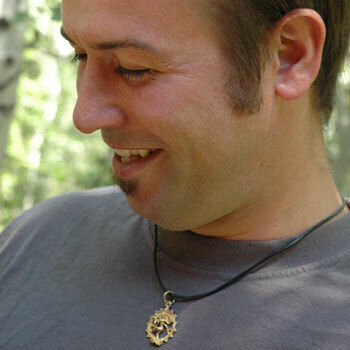 This is an ideal necklace for men or women. Sturdy, beautiful, eco and fair trade! Dancing Shiva, also known as Natraja, is highly symbolic. Dance is an act of eternal creativity and change, old turning into new and thus can be both positive and negative (celebration and mourning). We are all born, live and die. Cosmic impermanence.